Father Bill Cantrell is Associate Director of Chaplaincy and faculty for VA Mental Health and Chaplaincy in the Mid-Atlantic Mental Illness Research, Education, and Clinical Center (MIRECC) in Durham, North Carolina. A native of Fort Worth, Texas, Chaplain Cantrell was commissioned in the United States Navy in 1994. He earned a Bachelor’s degree in Business Administration at Texas A&M University, and his Master of Divinity from Nashotah House Theological Seminary, Nashotah, Wisconsin. He completed five units of Clinical Pastoral Education and is a NAVAC Board Certified Chaplain. CAPT Cantrell currently serves as U.S. Naval Forces Europe-Africa / U.S. 6th Fleet Chaplain (Reserves). Chaplain Cantrell’s broad range of experience as parish priest, President/CEO of St. Jude’s Ranch for Children, Navy Chaplain on four deployments, one three year recall to active duty involving extensive work at Naval Medical Center San Diego working with combat wounded and PTSD patients as well as a recent one year mobilization as 4th Marine Division Chaplain. 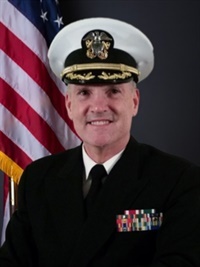 His current work and ministry in the Department of Veterans Affairs is focused on VA-DOD joint training initiatives for chaplains in the VA and all Services in the Department of Defense in Mental Health and Pastoral Care related topics, clergy and faith community education in mental health and professional collaboration among caregiving domains.